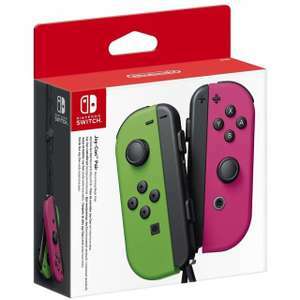 They also sold them off cheaply a good while ago along with the orange controller, I think for £34 I picked up this exact one. I wasn’t aware this was a thing, interesting. 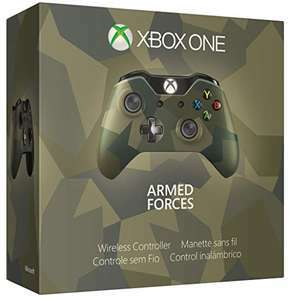 I bought one of these for my sons Xbox a while ago and regretted not spending the extra money and getting an official controller instead, good price but not a good controller in my opinion. Out Of Stock by the looks of things? I have had two elites over 3 years. It’s pretty poorly made by all accounts and MS themselves know it. The grips are unlikely to last (both of mine came off in a relatively short amount of time). Elites are grate, but overpriced for the quality. Stick the the general pads that way when they do go it’s not a huge loss. Don't bother. Get an elite. Another example of Amazon showing its predatory pricing matching strategy to keep people using Amazon over anyone else. I wonder how its going to benefit us long term if amazon succeeds and every store is gone. I think but I'm going to buy the 12 month one at £33, as price rise on the way and controller oos....but thank you very much for your offer. Need a new adaptor, but the controller has Bluetooth. I use that. Does this controller work with the old xbox360 wireless adaptor for the PC, or does connect wirelessly to the PC some other way? Check your power settings on the console and make sure it is in power saving mode (Not "instant on") and do a proper shut down and restart of your console and resync the controller. I had some trouble like that a while back with a controller not syncing. Otherwise maybe your controller is knacked. You could try the controller at a mates on a different xbox to be sure. Cheers. Tempted, but holding out for 1tb at this price, or £110-120 for this. May not be relevant but I bought the refurbished 1tb from Argos recently. Died after 7 days. Refunded but still a waste of time and energy. Bought a new one instead. No don’t get it! I bought one and returned it today. It’s a cheap lightweight 3rd party controller. It doesn’t rumble, the rubber grips feel cheap and sticky. It doesn’t come with charging cables. Doesn’t even connect without 20 minutes of trying as the swit h doesn’t recognise It. Also can’t use amibos. Plus It’s cheaper online. Pay the extra £5 or £10 and buy the proper pro controller it’s worth it. Very bad deal, voted cold. Buy the official one for a few quid more. Not the official one so wouldn’t spend that much myself. Never miss a 'Controller' deal again! I looks it. When I picked mine up at launch it was £35, sorry. 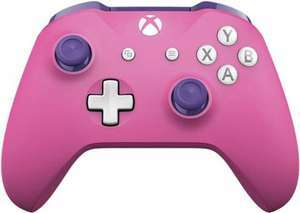 All I can say is for £40 it's still infinitely better than above mentioned controller and imo arguably better than Nintendo's own Pro controller, due mostly to 8bitdo's possessing a far, far better d-pad. I got mine off Amazon. SN30 Pro (G Classic Edition). Just search '8bitdo' and it's 12 down from the top. You won't be disappointed. Now I feel like an enabler. Just picked 2 up from Tesco Loughborough. Cheers op. There was a £40 deal on here which appeared to be a price ticket mix up that they honoured. 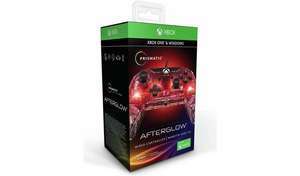 Seems a decent price for official controller. Amazon and Currys have for £54.99 too. Great! I just collected my replacement today as well. The drifting problem seems to be solved, but the home button seems unresponsive unless you press it hard. I've decided to stick with it anyway, as the home button isn't needed during actual gameplay. Finally got round to picking mine up just now and a big thank you to OP too. Finally, I got my bluetooth adapter from ebay, this is the one I got for £2.68, https://www.ebay.co.uk/itm/USB-Bluetooth-V4-0-CSR-Wireless-Mini-Dongle-Adapter-For-Win7-8-10-PC-Laptop-UK/283432206087?ssPageName=STRK:MEBIDX:IT&amp;_trksid=p2057872.m2749.l2649 However, stock is gone for adapter but search on ebay, you can big up the same for a few quid. It works. Just plug into PC, hold the sync button until bluetooth recognised it. I just tested my controller with Crash Bandicoot, NBA, Rocket league, works like a charm. Deal is still goin on Argos, tempted to pick up a second controller. Now, I am going to invest it, rechargabe batteries. What I love about this is joypad, I can blug in my headphones. awesome controller.